Alicia Hall Moran, mezzo-soprano, is a multi-dimensional artist performing and composing between the genres of Opera, Art, Theater, and Jazz. 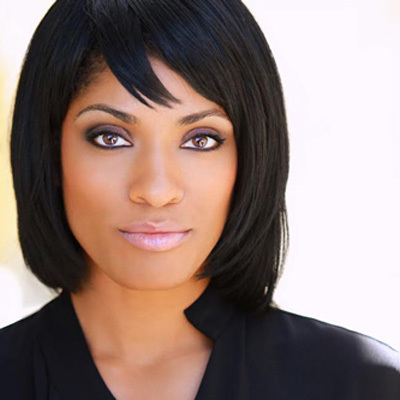 Ms. Moran made her Broadway debut in the Tony-winning revival The Gershwins' Porgy and Bess, starring as Bess on the celebrated 20-city American tour. "Moran finds the truth of the character in her magnificent voice," Los Angeles Times. A unique vocalist performing across the fine arts and in her own contemporary work, Ms. Moran's creativity has been nurtured by, and tapped by celebrated artists including Carrie Mae Weems, Adam Pendleton, Joan Jonas, Ragnar Kjartansson, Simone Leigh, Liz Magic Laser, curator Okwui Enwezor, and choreographer Bill T. Jones, musicians like Bill Frisell, Charles Lloyd, and the band Harriet Tubman, diverse writers from Simon Schama to Carl Hancock Rux, as well as institutions at the forefront of art and ideas worldwide. 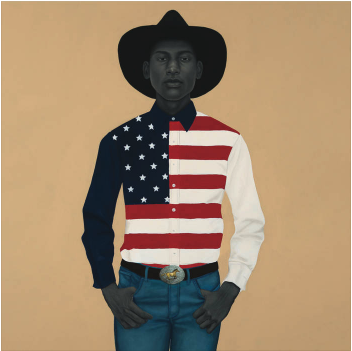 Amy Sherald, What's precious inside of him does not care to be known by the mind in ways that diminish its presence (All American), 2017 (oil on canvas), courtesy of the artist and Monique Meloche Gallery. Ms. Moran's artist residencies include Isabella Stewart Gardner Museum, MASSMoCA, and National Sawdust center for original music. She's been commissioned by ArtPublic/Miami Art Basel, Museum of Modern Art, The Kitchen, Histories Remixed/Art Institute Chicago, and Prototype Festival: HERE Performing Arts/Beth Morrison Projects, steadily rewriting a template for the classical-pop hybrid singer, with quiet yet critically-acclaimed works such as HEAVY BLUE, her first album, the motown project, The Five Fans, Breaking Ice: The Battle of the Carmens, and Black Wall Street, a personal historical take on the Tulsa Race Riot of 1921 which premiered at River To River Festival after developing at National Sawdust and The Schomburg Center for Research in Black Culture/Women In Jazz--institutions dedicated to keeping creativity and risk-taking alive at the critical level Ms. Moran inhabits. In partnership with husband and collaborator Jason Moran, she was awarded a 2017 Art of Change fellowship by the Ford Foundation, and has generated work for the Venice Biennale, Whitney Biennial, Walker Art Center, and Philadelphia Museum of Art, among many others. Ms. Moran's transcendant vocal performances travel from the jazz club (Village Vanguard, The Stone, Jazz@Lincoln Center, Highline Ballroom, San Francisco Jazz, Kennedy Center, etc. ; to solo turns with symphony orchestra--including National Symphony Orchestra Pops, Chicago Philharmonic, Austin Symphony, 1B1 Orchestra/Norway, Roanoke Symphony, Dayton Philharmonic; to the opera stage to translations on theatrical stages and film. Her second album, HERE TODAY, was released December 21, 2017.